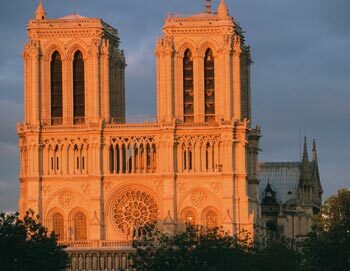 Enjoy a tour that combines two of Paris' most beloved treasures: The charming Montmartre neighborhood and the Sacré Cœur, and the world-renowned Louvre Museum. 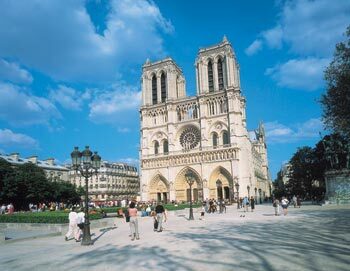 Your tour starts in the center of Paris, where you'll get a ride up to Montmartre by coach or funicular. 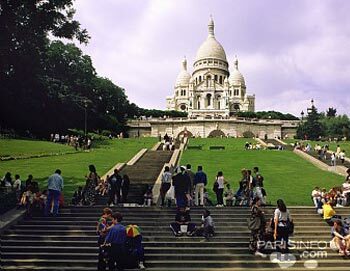 Montmartre is a large hill in Paris'18th arrondissement. It is 130 metres high and gives its name to the surrounding district, which is well-known for its authentic Parisian charm. 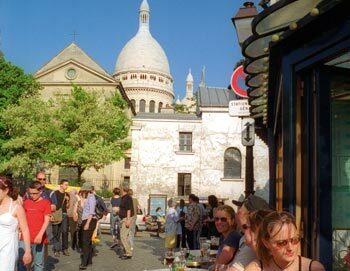 Once you arrive at Montmartre you will enjoy a guided walking tour of the neighborhood and Place du Tertre - the square at the heart of Montmartre. After you have been Place du Tertre, you'll have time to visit the beautiful white Basilica of the Sacré Cœur on your own. 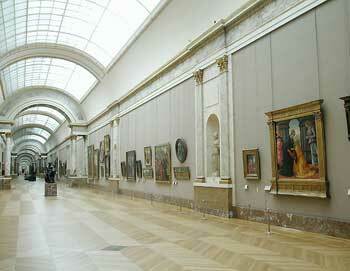 Next on your tour is a visit to the world-renowned art museum, the Louvre, where you'll enjoy an 1-hour guided tour. 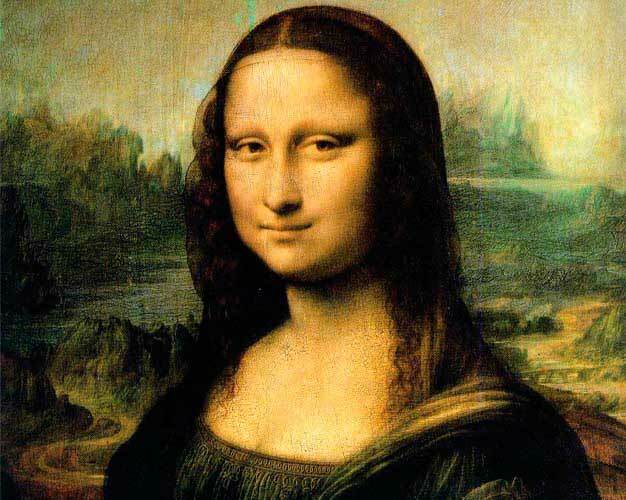 During your tour, you'll see some of the most influential pieces, such as the Venus of Milo, the Winged Victory and of course Leonardo Da Vinci' lovely Mona Lisa. The tour lasts 4½ hour. 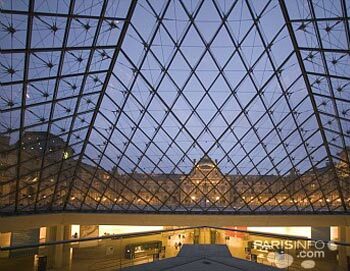 - On Wednesdays and Fridays, it is possible to stay at the Louvre after the guided tour ends for the late night opening (the Louvre is open till 10 PM). 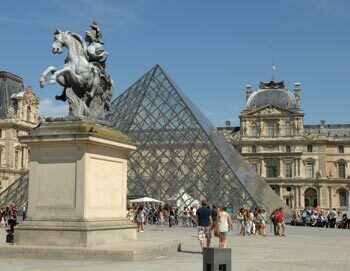 - On Mondays, the tour will begin with the visit of the museum followed by the guided walking tour of Montmartre. Monday, Wednesday & Friday at 2 PM.